This page has been visited 39580 times since . The NT'05 conference is closed now. 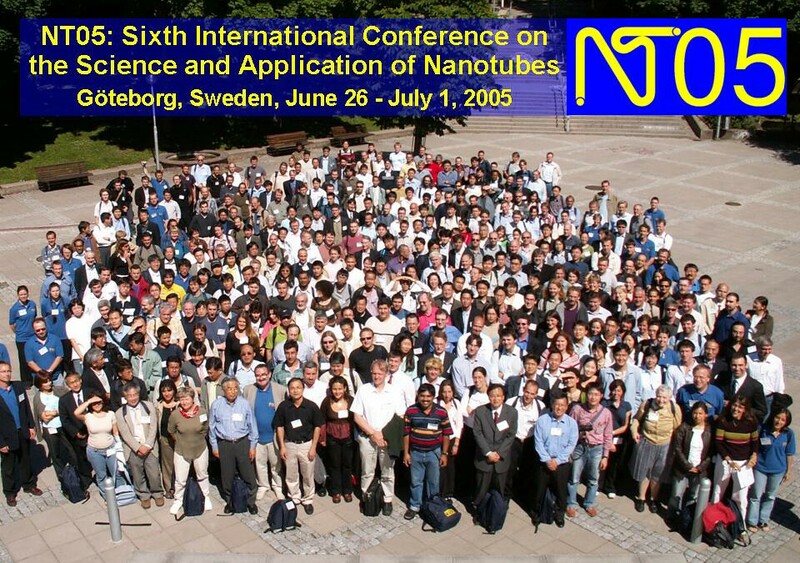 With 430 participants, it was the single largest event in the field of nanotubes. We thank all participants for their contribution in making NT'05 a very successful meeting. Click on the picture for full-size version of the conference photo. The pdf file of the Abstract Booklet (3 MB) is posted HERE. Executive summaries by Poster Session Chairs (patience -- 36 MB!) are posted HERE. Selected Conference Photos are linked HERE. PowerPoint and pdf files of NT'05 presentations are linked directly HERE. Some additional abstracts have been linked to the NT'05 Discussion Forum. Please give us feedback about NT'05 on the NT'05 Discussion Forum, linked HERE. Information about the Journal of Small Systems (JSS) can be found HERE. The home page of the upcoming NT'06 conference can be found HERE. 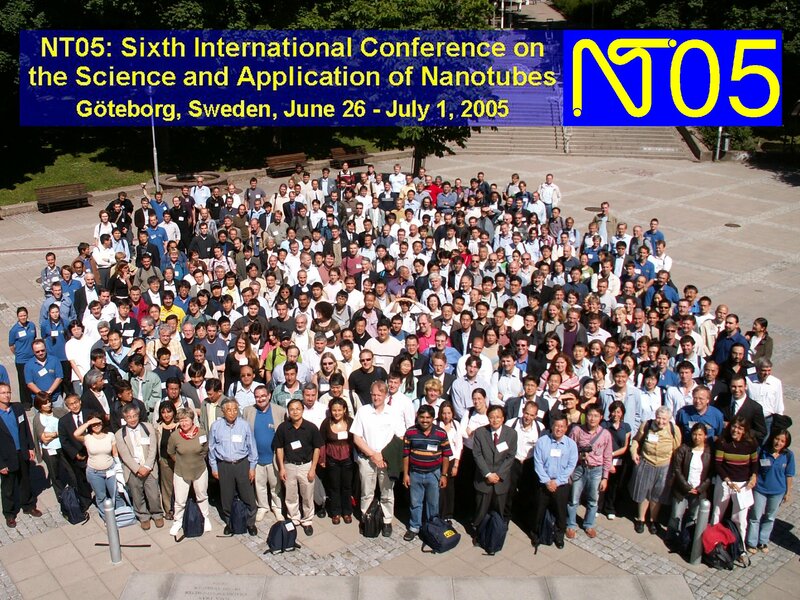 NT'06 will take place in Nagano, Japan, June 18 - 23, 2006.